Germany approved on Tuesday the construction and operation of the Russia-led Nord Stream 2 gas pipeline in its territorial waters, thus issuing all necessary permits for the German section of the project that has torn Europe and EU member states over the implications of Russia’s gas giant Gazprom gaining even more foothold on the European gas market. Hailing the project as necessary to cover Europe’s future supply gap and contributing to the “security of supply and competition in the EU gas market,” the pipeline company Nord Stream 2 AG said on Tuesday that the permitting procedures in the other four countries along the route – Russia, Finland, Sweden and Denmark – were proceeding as planned. “Further permits are expected to be issued in the coming months. Accordingly, scheduled construction works are to be implemented in 2018 as planned,” the company said. 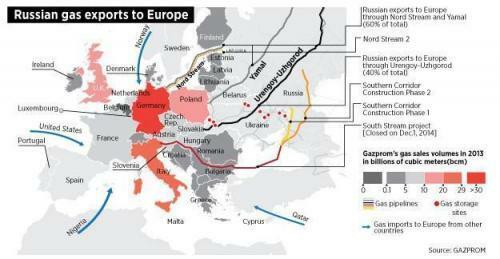 Germany is the key beneficiary of Nord Stream 2 and supports the project on the grounds that it is an economic issue. Other EU states, however--including Poland and the Baltic states, as well as the European Union institutions--argue that the project further solidifies Russia’s grip on Europe’s gas market and undermines efforts to diversify supplies. For Russia, Nord Stream 2 – a project to twin the existing Nord Stream pipeline between Russia and Germany via the Baltic Sea -- not only boosts its gas supplies to the EU, but also bypasses the Ukrainian transit route. With the spy poisoning scandal in the UK and the West-Russia tension high, Nord Stream 2 has taken center stage in energy policies again in recent weeks. Earlier this month, U.S. Senators urged the U.S. Administration “to utilize all of the tools at its disposal to prevent its construction. Last week, the Energy Committee at the European Parliament approved draft amendments to the EU rules to state that all gas pipelines from third countries into the EU must comply fully with EU gas market rules on EU territory, including Nord Stream 2, which is far from complying with those. 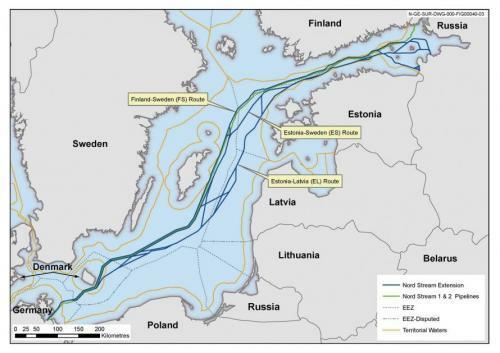 While it’s no surprise that Germany has now issued all permits to Nord Stream 2, other countries along the pipeline route, Denmark in particular, could block the proposed route in its waters on security grounds, but Danish officials are not rushing the decision.